HA NOI (VNS) — The domestic retail price of petroleum remained unchanged at VND17,286 (US$0.80) per litre yesterday, despite the increase in the world price over the past 15 days. The ministries of industry and trade and finance decided to keep the diesel selling price at VND15,883 per litre, E5 at VND16,956 per litre, oil at VND16,073 per litre and mazut at VND12,653 per litre. 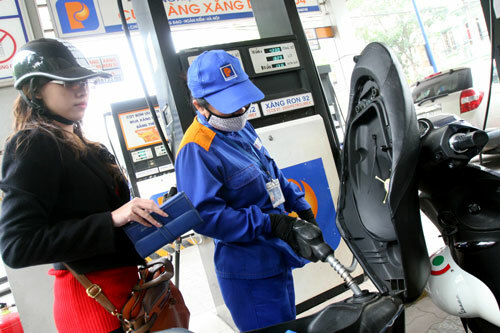 The two ministries also asked fuel companies to maintain the stabilisation fund for petroleum at VND991 per litre, while reducing it for other items by VND134 per litre for diesel, VND217 per litre for oil and VND383 per kilo for mazut.